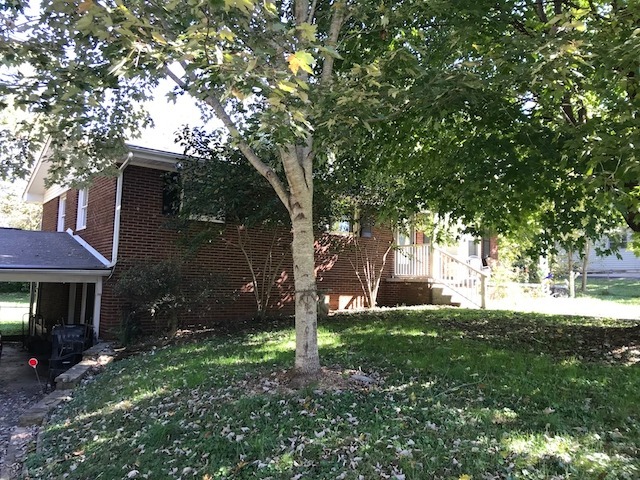 4405 Deerfield Rd, Knoxville, TN, 37921 - Photos, Videos & More! ALL BRICK !! Great location and convenient to everything in popular Cumberland Estates. This would make a great investment property as a rental or flip. Also make a great family home with its 4 bedrooms and 3 and half baths. Updates include newer HVAC, Hot water heater, upscale slate GE appliances including refrigerator and windows. Structurally sound with some cosmetic updates needed. Other features include large useable fenced yard, huge outdoor deck and gas plumbed for grill, living room wired with in wall sound , 2 fireplaces, ( 1 wood & 1 gas) , awesome oversized 2 car carport that could easily be enclosed to garage space, and it has tons of storage !! You will want to see this !! Priced for immediate sale! !